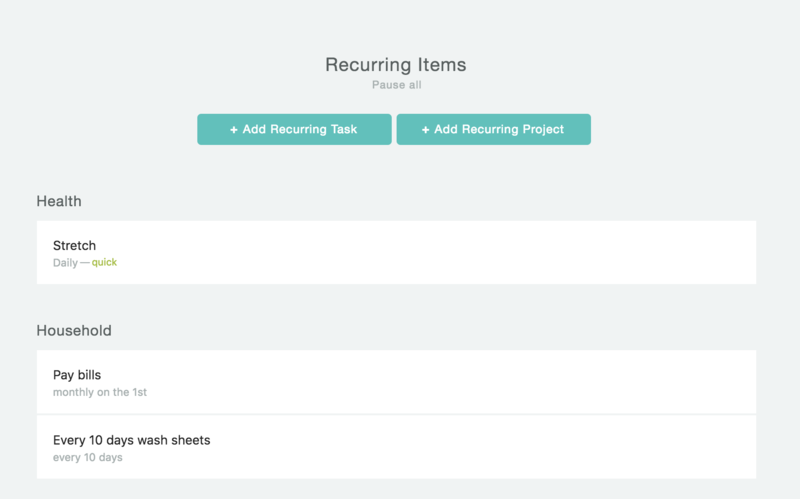 Recurring tasks are tasks that get automatically created by Marvin and scheduled to specific days based on a pattern you set. So for example you can set up a recurring task so that every Monday a task called "Open mail" shows up in your day list. Or every day you get a task called "Morning routine" with specific subtasks in your day list. 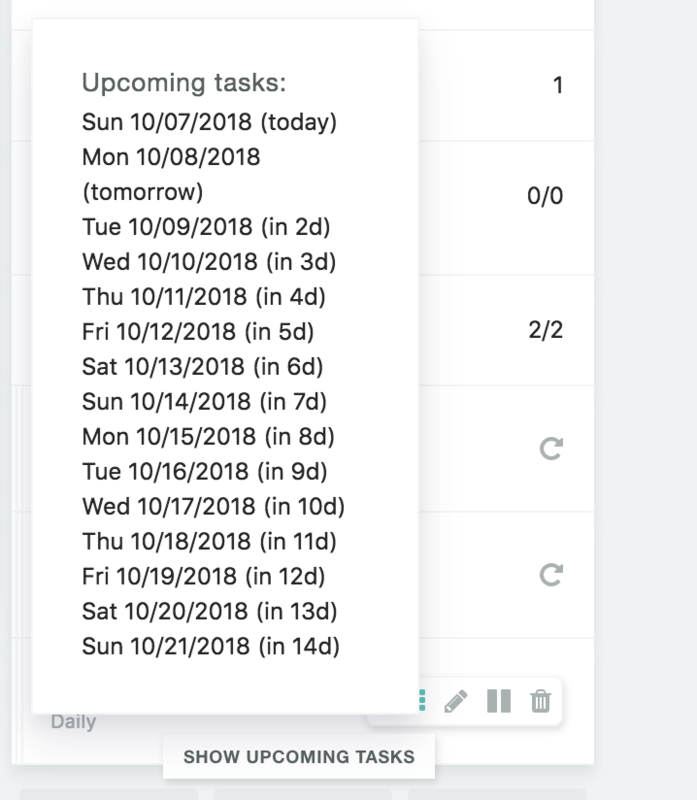 How to add recurring tasks? 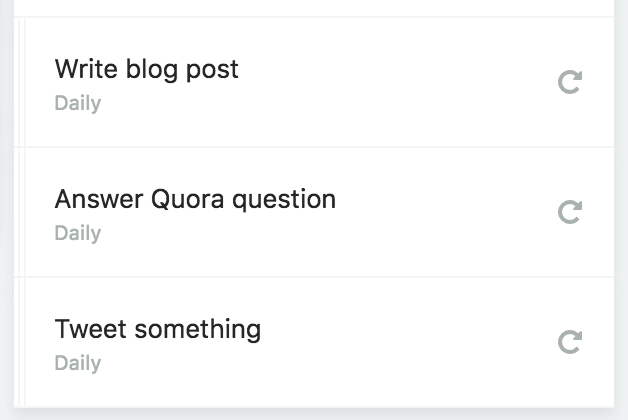 If you have already created a task that you want to show up automatically in your days on a specific interval, click the edit icon button and then the recurring icon at the top to make the task a recurring one. 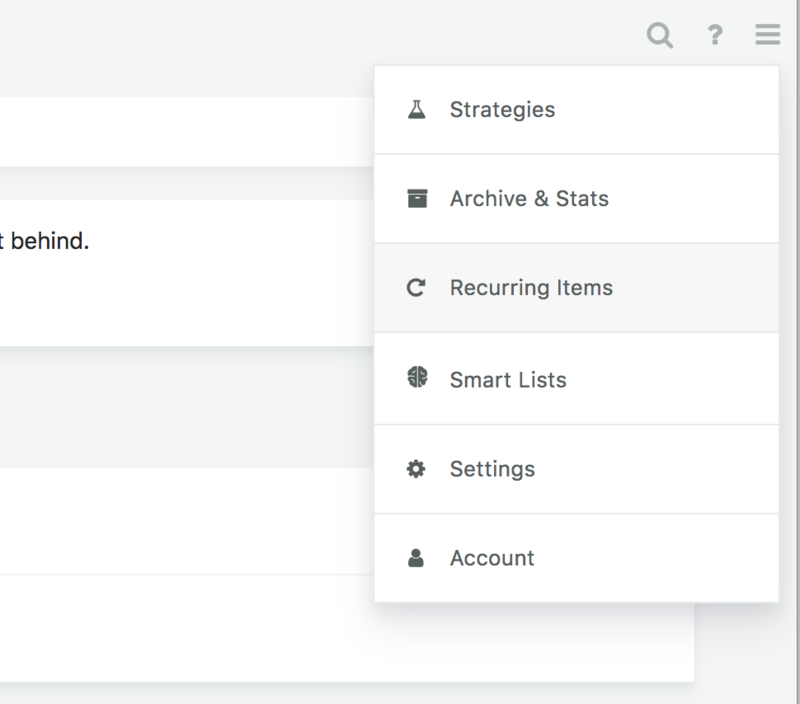 Another way to add a recurring task is to go to the "Recurring Items" overlay in the menu at the top right of your screen. There you can see all your current recurring items and add new ones. They are not actual tasks that you can complete but the "template" that gets used to create real tasks that get scheduled into your day. The created recurring tasks do not show up in your Master List, just the parent task (see image). And finally you can put a recurring task on pause with the pause icon. All recurring task instances will then be hidden and no new ones created until you resume this recurring task. In the settings you can specify if you want recurring tasks that get created for you to be marked as such. They will then have a recurring task symbol underneath the task title. 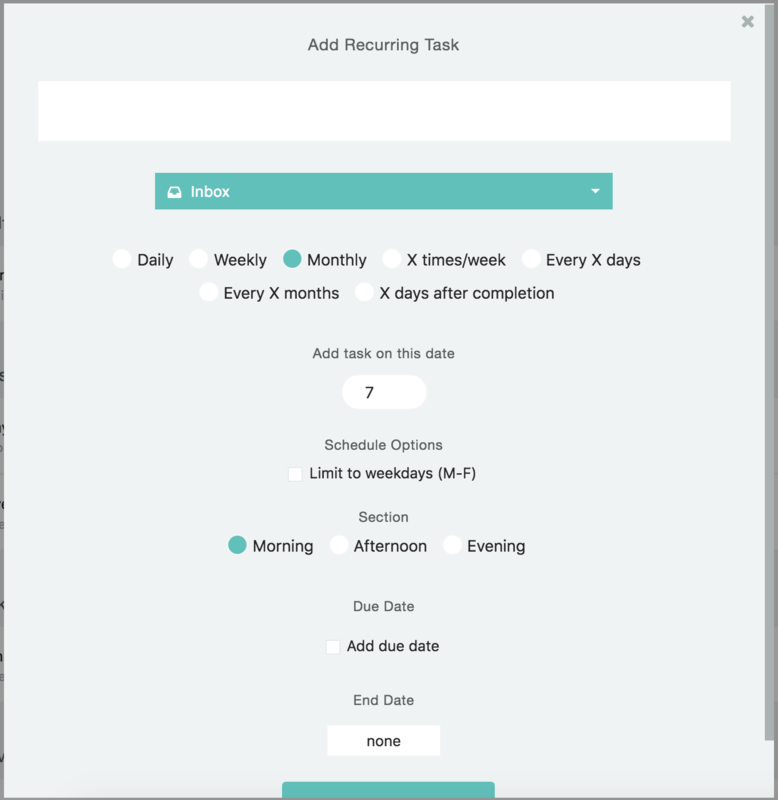 Clicking the symbol allows you to edit the recurring task pattern/parent template by opening the recurring task dialog.